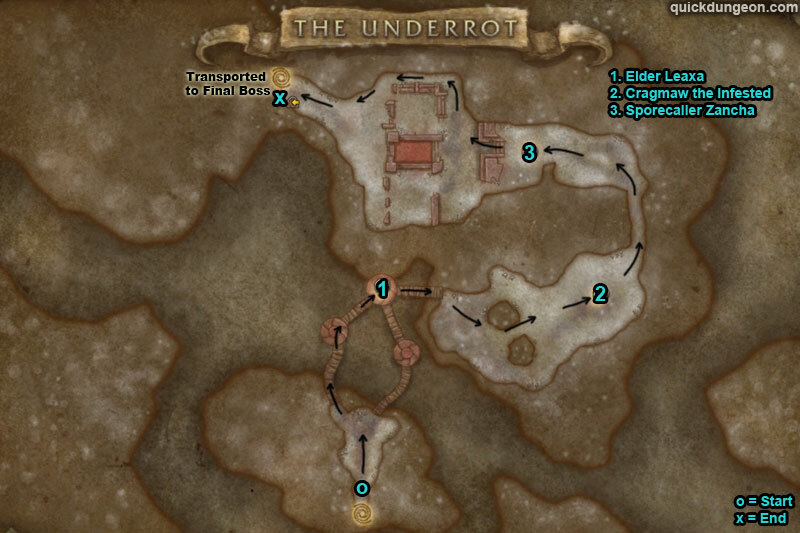 You can find The Underrot entrance within Nazmir, Zandalar. 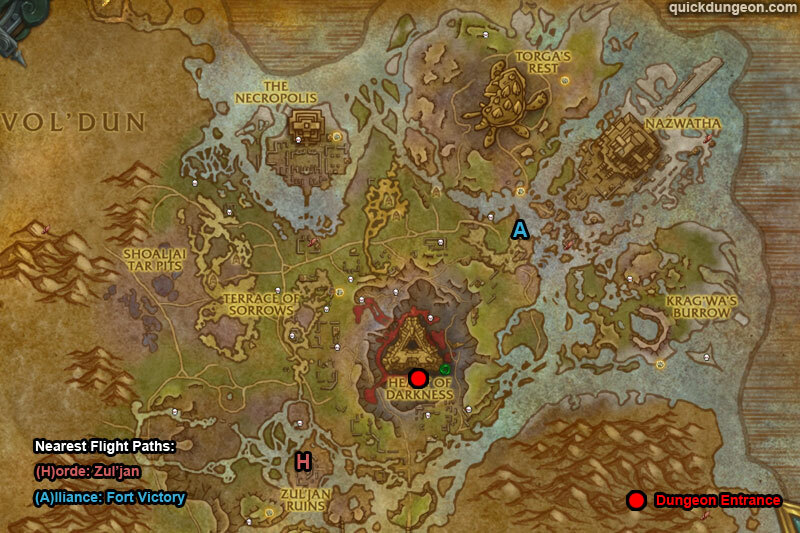 Make your way to Heart of Darkness on the Nazmir map, there will be a path you can follow down as the portal is underground. /i Quickly heal players with debuff ‘Taint of G’huun’, this stacks. Avoid the moving green patches of ‘Creeping Rot’. Dps focus kill the Blood Effigy adds. Interrupt ‘Blood Bolt’. 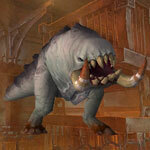 Heroic Differences: ‘Sanguine Feast’ teleports boss to a random player & damages all nearby. An extra Blood Effigy is created & they also cast ‘Sanguine Feast’. /i Step on the Larvas to kill them. If they grow will apply stacking bleed to players, dps focus kill them. Tank face frontal cone ‘Indigestion’ away from others. Careful of charge damage, knocks back all in path. 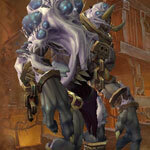 Heroic Differences: At 100 energy boss throws ‘Tantrum’ inflicts damage to all players, healer be ready. /i Players with ‘Upheaval’ stand near Spore Pods then move out of brown circle to kill them. Tank face boss towards pods so that ‘Shockwave’ destroys them. Careful of stacking debuff ‘Decaying Spores’ if you step on pods. Heal ‘Festering Harvest’ damage. Heroic Differences: ‘Volatile Pods’ grow & spread outwards, inflict damage & ‘Decaying Spores’ debuff. /i When boss reaches 100 blood energy adds will spawn, kill adds to damage boss. Healer Dispel ‘Putrid Blood’. Avoid grey patches of ‘Vile Expulsion’. Player with Cleansing Light stand near patches.